West of Four designs high quality custom websites for businesses, organizations and events. Our websites are developed using a Content Management System (CMS) called WordPress. The CMS enables you to keep your site up to date easily and without needing to know how to write code. Alternatively, we offer website maintenance packages for those who are looking for a hands off website experience. West of Four can help you keep your site fresh and engaging by implementing your content changes for you. 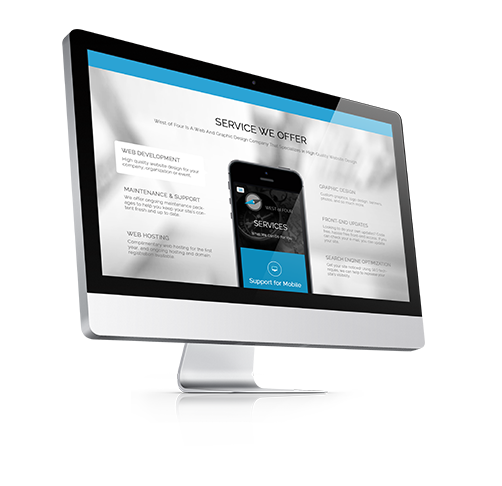 We create mobile-friendly sites that are responsive and can adapt to the differing screen sizes of today’s assortment of mobile devices. Using SEO techniques we make sure that you reach your target audience.